Just as you need your girlfriend’s support in all your endeavors, she also needs the same effort from you. Support is beyond doubt, an important part of every successful relationship, but how do you make sure that you’re doing it right? To answer this question, let’s take a look at some tips that will help you become a supportive boyfriend. 1. Be as encouraging as possible. Always let your girlfriend know that you believe in her especially when she’s starting to doubt herself. Hearing encouraging words like, “I know you can do it!” or “I believe in you!” can really make a difference. If you see her slowly giving up on something that she has worked so hard for, be there for her, encourage her to hold on and most importantly, let her know that she’s not alone. 2. Show up for her. Another way to show your genuine support for your girlfriend is by showing up for her especially during the most memorable moments of her life. If she’s in a cheerleading team, show up and cheer for her, too. If she’performing in a competition, show up and be her number one fan. Just be present- it is all that matters. Think about when you’re upset and when you just want to vent off your frustrations. Your girlfriend, just like any human being, wants the same thing. You’re her partner so you need to listen to what she has to say. Just be there in silence and make her feel that she can tell you anything. 4. Offer to help her. Find out what she needs at the moment and let her know that you’d be happy to help her with anything – really, anything. Is it that time of the month and she’s craving her favorite snacks? Offer your assistance and grab the best sweets you can find. Be thoughtful and always be on the lookout for things she might need help with. Helping her boost her confidence is a way to improve her ability to make good decisions. Encourage her with your words and actions and help her believe, in her heart and mind, that she can do anything she sets her mind to. Be proud of her and don’t be afraid to show it. Compliments are great confidence boosters. In fact, this supportive gesture can help your girlfriend feel good about herself especially if she’s going through a rough time. However, make sure to only praise her when she truly and genuinely deserves it. Girls don’t really like fake compliments, do they? 7. Team up with her. Let her know that she doesn’t have to face life alone – because you’re a team, and as partners, you’re stronger and invincible. 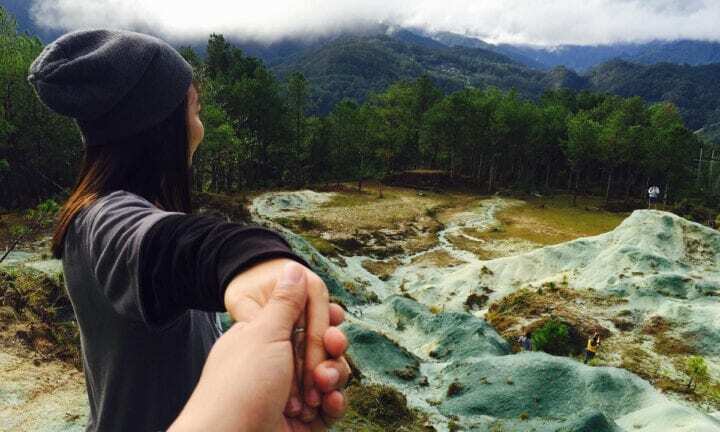 Be there for her and support her in every adventure you face together. 8. Spend time with her. Just simply hanging out with your girl is already a way of supporting her: going on date nights, enjoying movie nights at home, or even for something as typical as taking your dog for a walk, together. Remember that it doesn’t have to be a big or a grand date – what matters is you shared and created those memories together. 9. Make her feel safe. It’s not about being with her 24/7 like a private bodyguard. You don’t have to take a bullet for her. She only needs to feel that her man has her back when it matters the most. She needs to know that it’s okay to feel weak, because you can be her strength. She knows that it’s alright to be vulnerable because your love is enough to protect her from any harm that comes her way. Appreciate her, even for the simplest gestures. Let her know that you admire and respect everything she does for you and your relationship. Make her feel that she deserves your love and affection. Make her feel happy by just appreciating her existence. 11. Be understanding and compassionate. Part of being a supportive boyfriend involves being understanding of whatever it is that she’s going through. Whenever she does something that you don’t really quite understand, put yourself in her shoes and try to see things from her perspective. Be patient and considerate with her. 12. Be optimistic for her. There will always be times when she’ll feel pessimistic about the future. Your job is to help her turn those feelings around by remaining optimistic. Smiling more, focusing on the positive side of it all, and disregarding negative thoughts are only some of the many ways that you can do to cheer her up. Another way to be a supportive boyfriend is by challenging her to become a better person. If there is something you do not like about her, it’s your role to tell her that but be mindful of becoming too selfish and controlling. Instead, you can inspire her to become a better person in a way that won’t hurt her and how she sees herself. Be a positive and healthy influence. 14. Give her the opportunity to express her feelings. Gently ask about what is bothering her and give her the chance to express how she really feels. However, you have to give her time. Some people are not so good with words and sometimes, it takes a tremendous amount of courage for them to show how they feel. Just respect her silence and comfort her in any way you can. When she’s ready, be there to listen. 15. Show interest in her goals. Encourage her to chase after her dreams in life by offering to find ways to make her goals attainable. Together, discover the things that you want to achieve, may it be as individuals or as a couple. Accomplish a project together, try out new things and just be free to aspire and be ambitious. Remember that it’s okay if you want to pursue different things in life. What matters is, you’re there for each other as a refuge and as a source of strength. The process of supporting your girlfriend in becoming the best version of herself will eventually help your relationship, too. I hope this article helped you understand what it really means to be a supportive boyfriend to your girlfriend. Good luck and stay happy together!